John Kelman joined the Slow Food Aberdeen City & Shire committee when it was formed in May 2016 and has become a Slow Food Chef Alliance member. 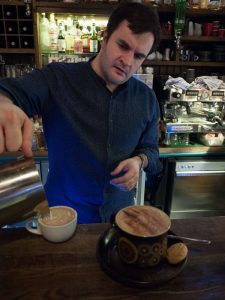 As a ‘Guga’ eating Nessman from a working croft from the North of the Isle of Lewis, John is now plying his trade in Aberdeen’s Merchant Quarter where he set up ‘Musa’ in a former Catholic Apostolic Chapel in 2006. With a passion for locally sourced produce and products, John is a founding committee member of Slow Food Aberdeen City and Shire.